Nokia that Nokia unveiled two new Lumia models in one week, the Lumia 925 and the Lumia 928, it’s time to look into the future. 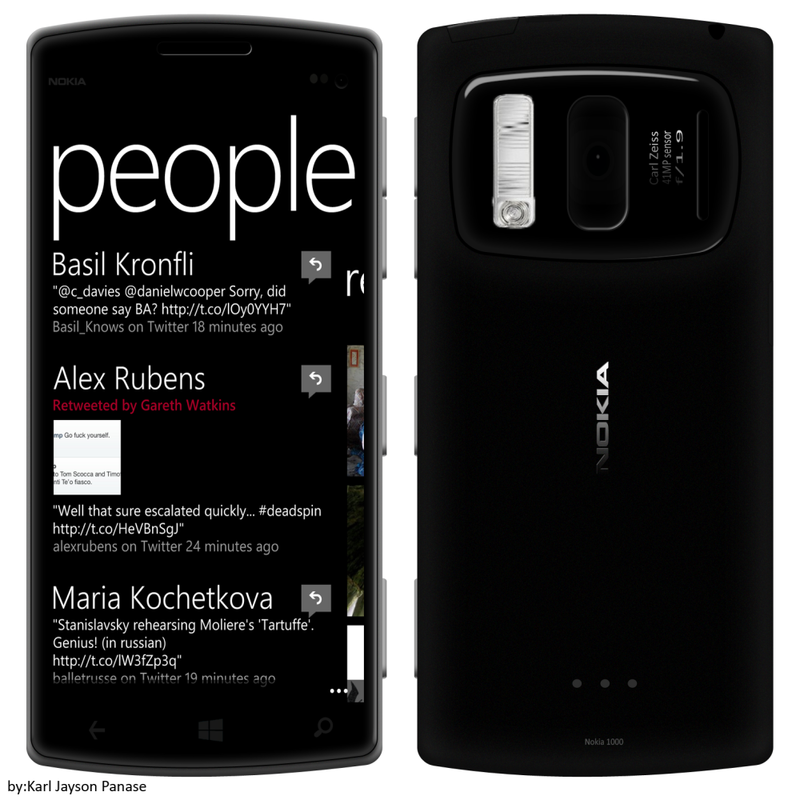 Karl Panase imagined the brand new model Nokia Lumia 1000, pictured below and running Windows Phone 8 GDR 3. The handset measures 8.7 mm at its thinnest and weighs 165 grams. It features a Super AMOLED 4.8 inch screen with a Full HD resolution and Corning Gorilla Glass 3 protection. It also relies on PureMotion HD+ ClearBlack display technology and comes with 64 GB of storage, 2 GB of RAM and a microSD card slot with up to 64 GB support. The CPU inside the Nokia Lumia 1000 is a 1.9 GHz Qualcomm Snapdragon 800, accompanied by the Adreno 330 GPU and we also get a special Nokia imaging chipset for the camera image processing. Speaking of which, at the back there’s a 41 megapixel shooter with F/1.9 aperture, Carl Zeiss optics, autofocus, Xenon flash, LED flash and optical image stabilization. There are a lot of other camera features included, such as ND filter, up to 8x lossless digital zoom, variable aperture control and more. The phone even does 4k video recording and finally, the Lumia 1000 has a 2500 mAh non removable battery. What do you think of this phone?